It is never just deciding whether putting a dog down or putting a cat to sleep is the "right" decision. As animal lovers and pet owners ourselves, we know that this is an animal member of your family that we are talking about here. 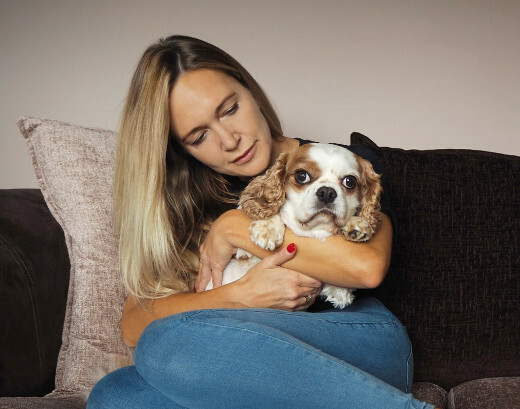 Choosing whether they can bear to go on living while suffering constant pain is an achingly private and deeply painful decision - one that can be almost impossible to make, even if you have all of the information regarding pet euthanasia at your fingertips. You can talk to us about putting a cat to sleep or palliative care for any pet and always rely on getting that information. We can come to you in person, with one of our friendly and caring home visit vets performing a full pet quality of life assessment so that you can be sure that there is nothing else which can be done to alleviate their pain. Many of the pet owners we assist are worried about both the process itself and cat or dog euthanasia costs. For this reason, we often recommend simply giving us a call for a private chat about your pet's situation. You can find out all you need to know about the painless procedure we use, which involves the application of a tiny anesthetic which puts your pet into an unconscious state before they know what is happening. This happens in the comfort of your own home, the place where they feel the most comfortable and relaxed. For all information regarding the cost of putting a dog to sleep, cat euthanasia costs, or the process, simply get in touch. The caring team you speak to have almost all been in a similar position themselves before and will have some understanding of the way you are feeling and the things you will want to know. Many animals hide any sign that they are suffering. The reason is an evolutionary one - animals which look injured or weak would have been the first target of predators or might lose out on territory to competing hunters. And even today, even if your cat or dog never leaves your house, these age-old instincts will still be present. That is why it is so important to get a full pet quality of life consultation when your pet is getting older or if you notice serious changes in their demeanour or eating, sleeping or exercise habits. We provide consultations like this in your own home, with one of our highly experienced and caring home visit vets coming to you in person. They will diagnose your pet and then make sure that they get the correct pet pain relief if any is indicated as being necessary. 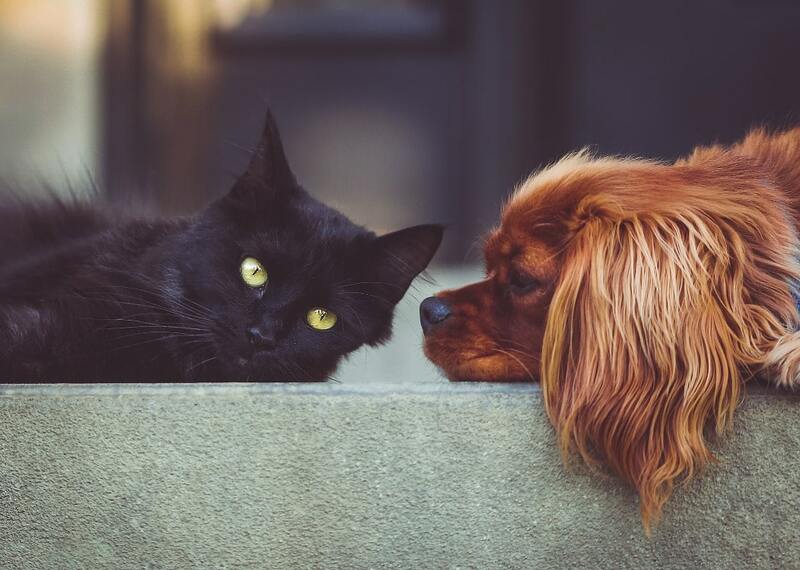 In some cases, you will already have a diagnosis and we can simply confirm and fulfil the prescription for pain relief for cats or dogs that you need. In other cases, we will work with you in order to develop not only a medicine-based regime but also one which involves any useful changes to their diet, environment - such as where they sleep - or exercise regime which might improve their quality of life. This holistic approach is always to be preferred over any purely medicinal one to pain relief for dogs and cats. By having the consultation in your own home you both save your ailing pet the stressful journey to your local veterinary clinic and make it possible for your caring home visit vet to consider every aspect of their life while working on their diagnosis. Chat with one of our friendly advisors about getting the right pet pain relief over the phone, without obligation, at any time. The aching loss you will be feeling after your treasured animal companion has passed on is natural. From personal experience, we know that it is not something which should be interrupted by practical concerns as to what to do afterwards. That's why we now provide simple, caring pet cremation for the local area. We do this for every pet owner, regardless of whether you have used us to help with any of your pet's end of life care or not. Tell us what we can do to assist you. We are glad to be to provide the sort of stress-free assistance you need at this terrible time, so whatever we can do to make it easier for you do please say. You can use our attractive pet chapel of rest for both cat and dog cremation. We offer both solo and group animal cremation catering to all budgets and needs. Choose solo dog or cat cremation when you want to have the ashes returned to you for a private ceremony. We always conduct communal ash spreading ceremonies after group services. Whatever you need to know about the help we provide, whether that is to do with practicalities such as pet cremation costs or how we transport your pet or information about the grieving process, please do not hesitate to get in touch. Choosing how to physically memorialise your pet can be very difficult. The bond you shared was in many ways beyond words, so selecting a short phrase or just the right item to remember them by can seem impossible. As pet owners who've been in a similar position ourselves, we know the feeling. That is the reason why we have brought together a varied selection of pet memorials - much like the ones which we ended up choosing to memorialise the animal members of our own families. If you have specific pet memorials such as marker stones or urns for ashes in mind, please do get in touch with us - even if you cannot immediately spot anything suitable from our range. We will often still be able to help you. Get in Touch With Our Home Visit Vets in Wigan. We are on the phone 24/7, ready to help you in Wigan WN.